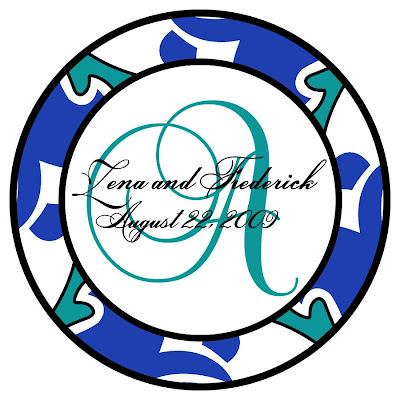 Check out these fab-u-lous monogram designs that I recently completed for Zena and Frederick's upcoming wedding in August 09'. 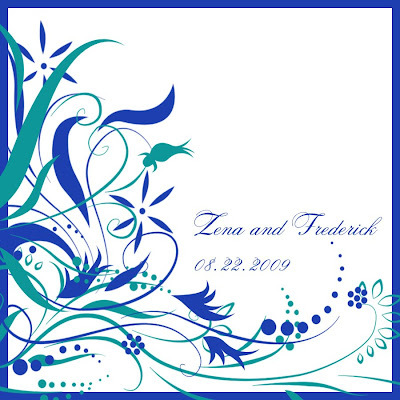 Created purely from Zena's own Pucci inspired wedding vision, these sassy designs feature a jeweled color palette of cobalt and turquoise tones accented with crisp white and black tones...a pop of vibrant golden yellow tones was used in a couple of the designs for a unique splash of the unexpected! 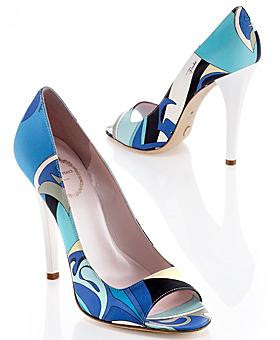 Here are the Pucci shoes that Zena drew the overall inspiration for her upcoming wedding from, followed by her completed monogram designs. 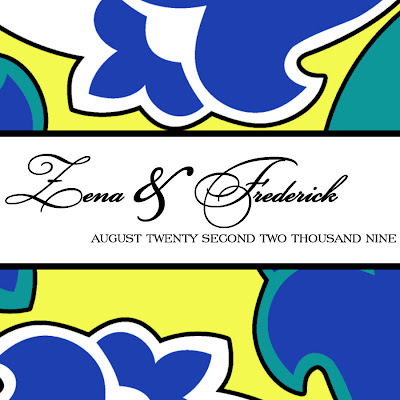 The first three were designed with the Pucci theme in mind and the last was a departure from the theme and was designed using a whimsical, delicate floral motif for a varied look. Enjoy! I LOVE my monogram design SOOOO MUCH!!! Thank you so much. Stunning designs! And those shoes are gorgeous! Wow these are fantastic! Well done! I can't wait to see photos from this wedding! I will be in TX in two weeks, will you be home for the holidays? Maybe we can meet!! WOW!! I love all of them! !